TRAM NETWORK UPGRADES! Glen Huntly Road between Hawthorn Road and Pearce Street, Caulfield South. 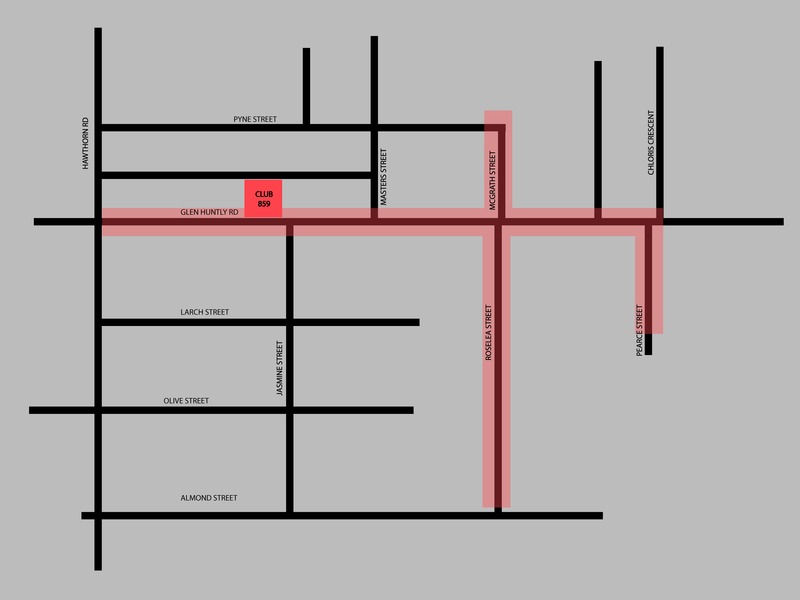 12am Saturday 23rd March (Friday night) to 4am Saturday 30th March 2019 Club859 still open, however can’t drive through areas in red but can park and walk on any of the other streets.